This is a beautiful chalet which sleeps 4 people. It comprises of an upstairs king size bedroom with small toilet - upper balcony and downstairs double bedroom with separate family size shower room, shared kitchen and seating lounge dinning area, and front veranda. It is a self catering fully furnished accommodation, we offer bed linens and towels. There is weekly house keeping and free access to the Wifi. The chalet is situated opposite the lovely Turtlebay beach where guests can relax and take in the full view of Turtlebay. Perfect for family and small children. 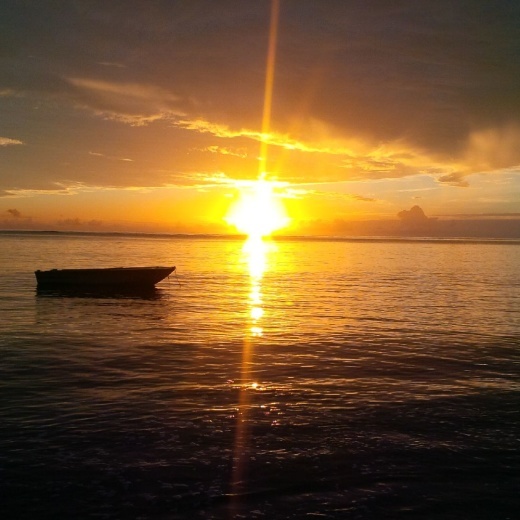 Julianasvillas guest house is a beautiful beach front family house, offering tourists a taste of local cultural island life in its simplicity. On the premises there is a 4 double bedroom en-suite family/ group size house with 2 chalets for smaller groups. Turtle - which sleeps 4, and Hibiscus which sleeps 5 people. The property is a fully furnished self-catering accommodation which offers weekly housekeeping, onsite parking, communal garden, onsite Cafe front desk reception and a car rental. We also offer breakfast at 10 Euros per person, please request breakfast on your booking request. Julianasvillas is situated opposite the lovely Turtlebay beach which is perfect for family with small children, perfect for relaxing and with a lovely view of the whole of Turtlebay East coast of the island. It is also close to small supermarkets, grocery shops and about 15 mins away from Anse Royal beach where there are numerous restaurants offering local cuisine and water sports. We would like guests to leave the apartments in the same condition as they found it and to treat it as if it is their home, also to notify a member of staff as to anything that's damaged during their stay. Thank you.